عندما تزور أوكلاند, ستشعر أنك في بيتك في Silverfern Backpackers الذي يقدم لك إقامة متميزة و خدمات عظيمة. يمكن من هنا للضيوف الاستمتاع بسهولة الوصول إلى كل ما تقدمه هذه المدينة النابضة بالحياة. يشكل هذا الفندق ملاذاَ مريحاً للاسترخاء ويمنح زواره فرصة للاستجمام والتجدد، وهو يقع على بعد خطوات من المعالم السياحية الكثيرة للمدينة كمثل: تاون هال, سيلو, ميرز. إن Silverfern Backpackers حريص على توفير الراحة للنزلاء، فلا يوفر الموظفون جهداً في تقديم أفضل الخدمات وضمان حسن الاستقبال. يمكن لضيوف الفندق الاستمتاع بالميزات التالية على أرض الفندق: خدمة التنظيف يوميًا, خدمة غسيل ذاتية, خدمات بريدية, مطبخ, مرافق مخصصة لذوي الاحتياجات الخاصة . في الفندق غرف نوم يتجاوز عددها 21، كلها مجهزة بعناية وجمال وبعضها مزود بـ تلفزيون بشاشة مسطحة, اتصال لاسلكي بالإنترنت, غرف لغير المدخنين, تدفئة, عازل للصوت. سواء كنت من محبي الرياضة أو كنت تتطلع لتفريغ عناء نهار صعب، ستجد خدمات ذات مستوى عالي بانتظارك كمثل بلياردو, غرفة ألعاب. إن Silverfern Backpackers هو خيار ذكي بالنسبة للمسافرين إلى أوكلاند، بما يوفره من إقامة هادئة ومرحة. I stayed at here for 2 nights. The place wasn't difficult to find, and it is near to the Intercity bus terminal, lots of restaurants shops at there too within 5-10 min walking distance. The staff were very helpful as they will ask us either we need anything or not. The room is clean too. A lot of facilities in the guesthouse, they even have TV room and computers for guests to use it. Their shared bathroom and kitchen was big enough. Will recommend this place to other friends if they go to Auckland next time. this place was filthy, smelly, and on top of it very strict rules regarding how and when you could use the facilities. I checked in they gave me the sheets to put on the bed, myself, then I got to the room, it was hot with still air, and reaked of body odour. I walked out and went to the Grafton, very nice place. 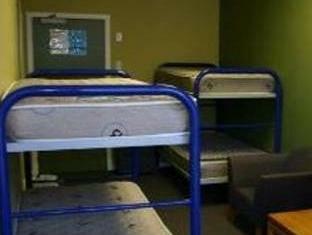 silverfern is basically a homeless shelter. I enjoyed meeting other travellers here, staff were very kind. Bedrooms were neat and tidy, bathroom was large and spacious very clean. Kitchen had good cooking utensils and had good storage fridges. This is for sure one of the better hostels in Auckland. I had a short business trip in Auckland and this hostel was ideal. Good level of facilities and comfortable mattresses. Staff were most helpful and patient with my many questions. I shall use again on future trips to Auckland. 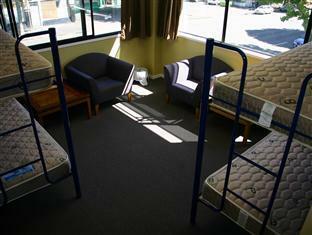 Good hostel in a very central location, close to cafes and restaurants. Has own car park onsite and is close to start of motorways. 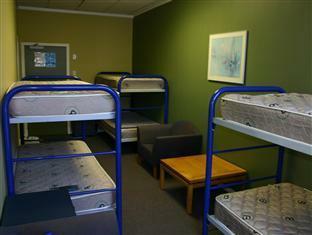 Room was vey clean, good facilities throughout the hostel and staff were very helpful. The room was ridiculously hot. 2 people checked out few hours later but the room was quite clean. I haven't been in the kitchen tho but the living area was basic. It's a bit of a stroll to the center but not easily doable. Security cameras everywhere and clean bathroom/showers. I extend my stay in the hostel for two days. When I was asking if I can stay in the same room, the manager said to me that I normally have to extend my stay direct at the reception. I didn't knew that and the manager said it is ok. When I was checking out I had to pay 21NZ$ additionally to the hostel for my online extention booking. What a joke!!! But that was the onliest bad thing here. Good people, good facilities. They are a thieves and the hostel is full of cockroaches everywhere, I never recommend that hostel. Basically it is a disaster. - Poor services (The receptionist was away for a long time but you can reach him. Understandable because seems he is the only staff for that hostel.) - Poor roommates. When I was first arrived the 8-bed dorm, I felt a very bad smell and found rubbish all on the floor. I asked if there is anyone using an apparently empty bed. The people said "no" and then continued to play loud for music. Without a second thought, I decided to change room. - Poor room. Basically I felt allergic and itchy all over the night and I couldn't sleep. I had a good time at Silverfern, the staff were super helpful and friendly, bedroom was nice and clean with other interesting guests. The kitchen was large with good appliances and equipment. Toilets and showers were clean and well maintained. 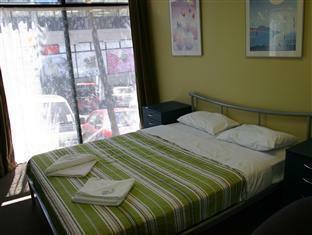 Location is good near main bus terminal and Sky Tower. 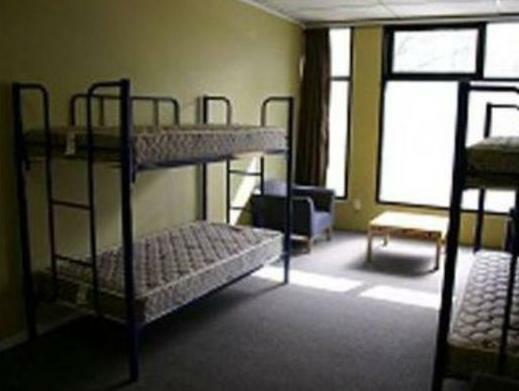 This seems to be one of the best hostels in Auckland. When you have to start off your trip with a 4-and-a-half-hour wait and a 15-minute argument with the manager about what you thought you paid for and what your actually getting and he basically tells you it's none of his problem, you know it's gonna ruin your trip. don't do it. not worth it. unless you are travelling by yourself, i suggest you go to an actual hotel instead. Don't prefere any body this hotel. Because the reception guy is not co operate. Behaviour is very bad. So pls pls pls don't prefere any body. That's it Because I have very bad experience with my family. Limited free wifi is provided, quite noisy at night as it is just on the main car road, basic shared bathroom and toilet, 10 minutes walk to the city centre, bu is hard walk if with heavy luggage as the roads are sloppy. This is what I think a backpackers should be like. The bathrooms and kitchen were clean and spacious. The rooms quiet and comfortable. Good internet, friendly staff and a lovely peaceful atmosphere. It's a bit of an uphill walk from town but we'll worth the effort. the staff are friendly and efficient. the common area like toilet, shower room, kicken and lounge are clean. the only set-back is the traffic noise. a thick curtain might help to block the noise, or bring your own ear plugs with you. 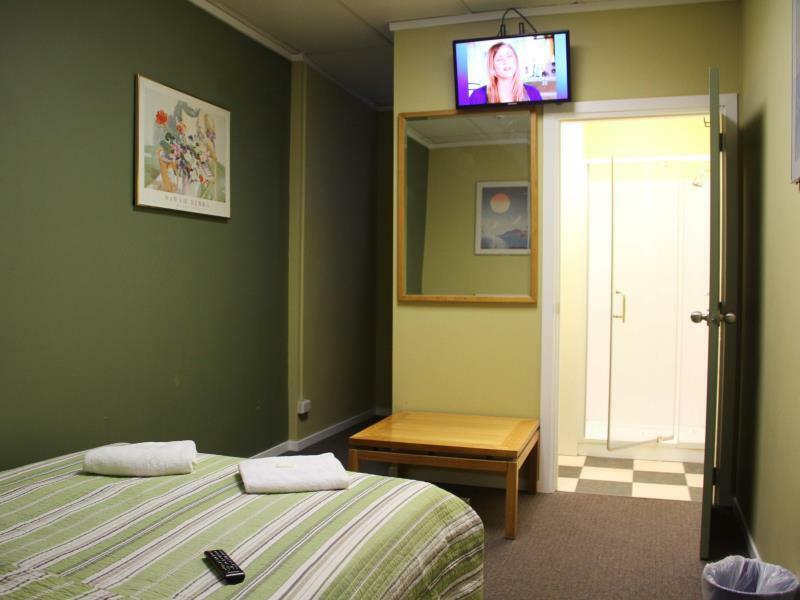 Just 15 min walk to the cbd, good internet and bathrooms and showers clean. Early check in but you have to make your own bed.